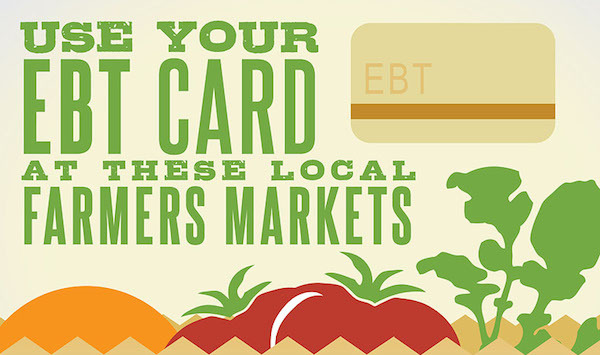 Farmers Markets in All 50 States Accept Your EBT SNAP Cards, Some Double Your Money! 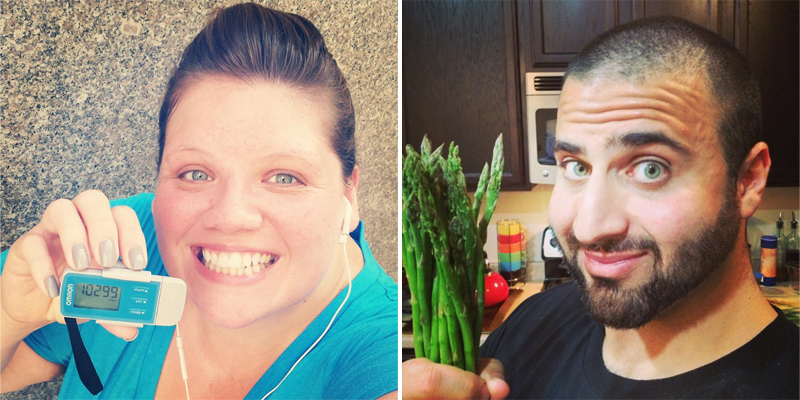 It’s no secret: it can often take a lot of money to eat healthy. Anyone who has tried to shop at premium grocers or attempted to buy mostly organic produce can understand this. It can leave you questioning how low-income families can do it! 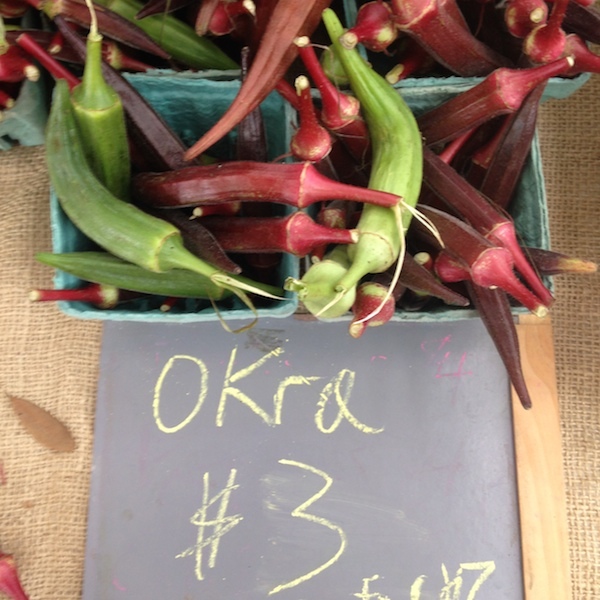 You may not believe it, but the best place to go just may be your local farmers market. 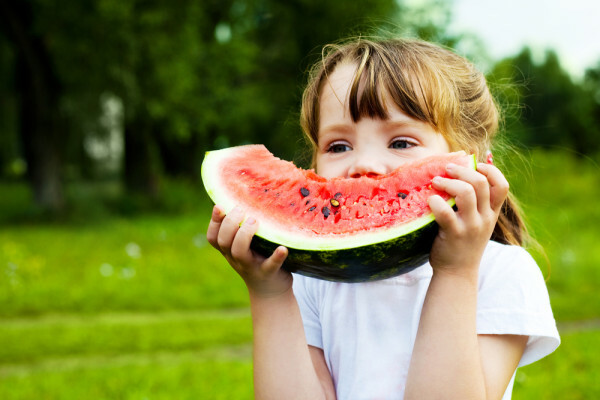 Recently, Dr. Richard Besser hosted a conversation on G+ as a part of the TED-MED series on childhood obesity. Featured in this panel was Don Schwarz, Health Commissioner and Deputy Mayor for Health and Opportunity in the City of Philadelphia. 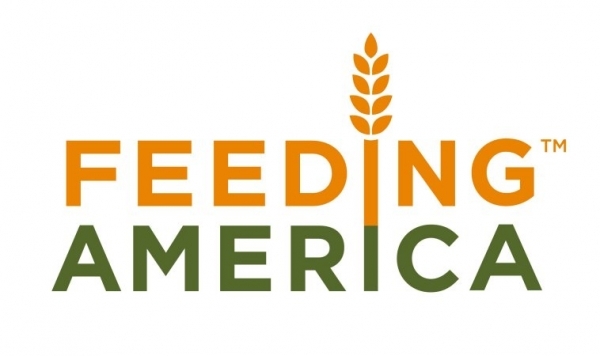 When asked how to combat the issue of African American and Latino children being exposed to the highest level of unhealthy foods and beverages, he suggested policy change to allow public benefits (like food stamps) to be accepted at farmers markets. Well, Mr. Health Commissioner, have we got good news for you: They already do! We have noticed a growing trend in our local farmers markets throughout the country accepting SNAP (or Supplemental Nutrition Assistance Program, formerly known as Food Stamps) just like regular cash. Gone are the days where affordability and accessibility of fresh produce isn’t possible on food stamps. Shopping at your local farmers market is not only better for the environment, but the nutritional quality is higher, and your money can literally go further. Wholesome Wave Georgia features more than 20 farmers markets that accept SNAP throughout the state, but Forsyth Farmers Market in Savannah, has taken it to another level. They literally give you twice the bang for your buck. This market will match your SNAP dollars thanks to a grant from Wholesome Wave Georgia. Accepting SNAP since 2019, they developed this partnership to ensure that the highest quality produce was perfectly attainable no matter your resources. And is it working? “Last year, we had the top redemption rates for a single market in the state of Georgia,” says Forsyth Farmers Market co-founder and coordinator Teri Schell. But if you’re not in the Savannah area, fear not. There are farmers markets that accept SNAP in all 50 States. We found 50 with the best deals! Alabama: On Double Days, Homegrown Alabama will match dollar-for-dollar up to $25. Alaska: Alaska Farmers Market Association says to check that the booth you shop at accepts them, too! Arizona: Hosts a whole list of SNAP-specific gardens. 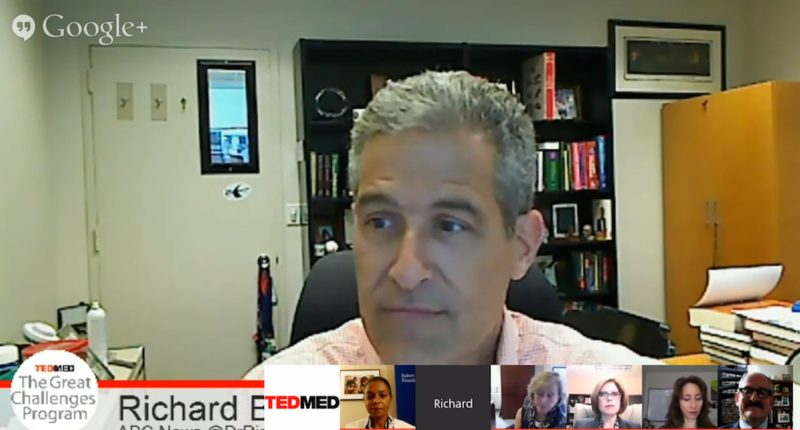 This afternoon, Dr. Richard Besser hosted a conversation on Google+ Hangouts as part of TED-MED to discuss childhood obesity. Dr. Besser is a pediatrician and the Chief Medical Editor at ABC News, and the author of Tell Me the Truth, Doctor, a comprehensive health guide that will both inform and surprise as he deciphers fact from fiction for nearly 70 confusing medical questions. The group began by talking about stress and the effect it has on health, both in children and adults. Stress is biologically potent and causes us to overeat sweets. Research shows the combination of stress and overeating is “the most dangerous combination,” Elissa says. One of the challenges the group agrees on is taking the research and putting it into practice. Very little is happening so far to create actionable programs that make a difference. 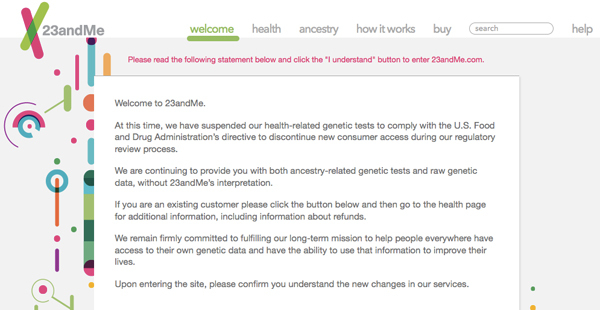 UPDATE 12/7/13: 23AndMe may no longer support new clients in accordance with the FDA directive delivered to the personal genome testing company last month. Our interview, below, with ABC’s Dr. Richard Besser explains, as does this message on the company’s homepage. 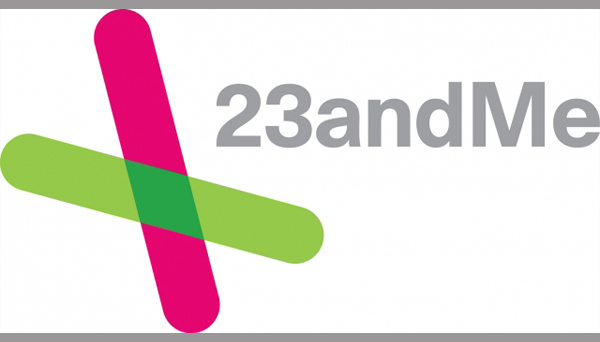 This week the FDA took action against 23andMe, the popular home genome testing kit, to discontinue marketing its product until years of unresolved requests from the government agency can be addressed. “Since July of 2019, we have been diligently working to help you comply with regulatory requirements regarding safety and effectiveness and obtain marketing authorization for your PGS [Personal Genome Testing] device,” wrote the FDA in a letter made public on its website. The company has failed to comply with all of the FDA requests to receive proper validation and approval by the agency, something required of medical devices and tests. There in lies much of the problem – these genetic home testing kits aren’t always accurate. Dr. Besser cited a government study conducted in 2019 that used 10 kits from four different companies and had a group of volunteers submit their tests. He explained that the results varied not only by company, but within tests from the same company. Some tests showed positives for some genetic markers and diseases, while others showed negatives. The inconsistency can be incredibly misleading and disconcerting for consumers. “These tests are fine if you want to look at your ancestry or for male pattern baldness,” explained Dr. Besser, who went on to say that when a test like this shows a woman that she is a carrier for the BRCA gene (the marker for breast cancer), “she needs to know that it’s right.” Some serious, sometimes life-altering, decisions have to come from the results of these tests. After eating prepackaged salad, 221 people in Nebraska and Iowa have contracted the stomach parasite cyclospora. Hundreds more have contracted the diarrhea bug in 13 other states, though the cause is unknown. Iowa’s Food and Consumer Safety Bureau claims the parasitic salad has been removed from shelves, but as of this morning no recall had been announced on the FDA’s website. Cyclosporiasis also causes fatigue, weight loss, stomach cramps, vomiting, aches and fevers, and without antibiotics, symptoms can linger for months. According to the CDC, leafy greens are the number one cause of food poisoning because they’re exposed to the elements and eaten raw. Obesity is no longer a disorder, it’s a disease. This week, the American Medical Association voted to reclassify obesity—a $150 billion annual health care headache—from a chronic health condition to a disease. According to the CDC, 35 percent of adult Americans are obese. To be considered obese, you must have a Body Mass Index of 30 or higher. A healthy BMI is is between 18 and 25, and the CDC has a handy BMI calculator on their website. The question is, how will medical treatment change in response to this new decision? Labeling obesity a disease quickly left those in the medical establishment with uncertainty about the future of obesity treatment. There are a slew of surgical procedures that combat obesity, none of which cure it completely. The onus is on the patient to follow through with the treatment and reach a healthy weight. Obesity is a unique disease because nutritional education, fitness awareness, and simple willpower are the most effective remedies. “We need to get physical activity back into everyone’s lives, starting with our kids,” said Dr. Besser.